Posted on August 27, 2018 by Dr. Poz. There have been two main types of mouthguards available for athletes, until now. Off the shelf guards are fairly inexpensive, but have limited use. Drawbacks to this type include a less than ideal/secure fit, they can be chewed through causing ineffective protection, and the inability to fit them for use with braces. Custom fit guards are sent out to a lab for fabrication. While best fitting, stronger and more effective in guarding against impact, they are more expensive. Another drawback is they cannot be adjusted as the mouth changes, so new ones have to be made as the mouth grows, braces are placed or removed, etc. Recently, a third type of mouth guard, CustMbite “PRO”, has been introduced which is strong, durable and inexpensive. 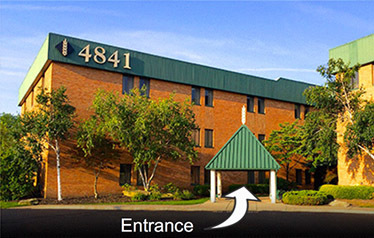 It was designed by a dentist and it is available through our office. 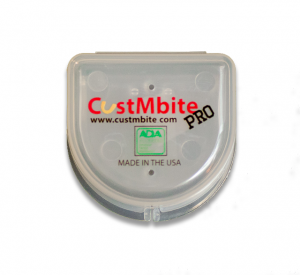 The CustMbite “PRO” Mouthguard offers the latest innovation in an athletic mouthguard. Made from an advanced polymer, the CustMbite “PRO” provides increased protection and shock absorption and it gives a custom-fit at an off-the-shelf price, ready to use in less than 2 minutes. In addition, CustMbite “PRO” soon will have new technology available to change colors if an athlete is overheating, thus guarding against heat-related health issues in hot, humid conditions. In recognition of its outstanding performance, the American Dental Association has awarded the CustMbite “PRO” its first Seal of Acceptance for a sports mouthguard. I believe strongly in the importance of athletic mouthguards to protect the mouths of children and adults who participate in active sports where contact could damage your mouth. Each type has its place and must be evaluated based on the patient and its use. Please call us, or ask us at your next appointment, about your best options for a properly fitted mouthguard.